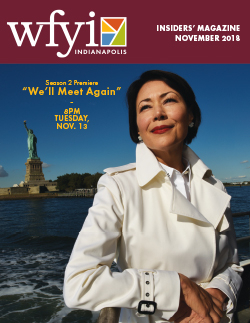 Much more than a complete listing of WFYI television and radio programming, the WFYI Insiders’ Magazine is your monthly entrée to detailed information for WFYI TV and radio programs, articles from WFYI Learning Services, membership news, volunteer profiles and opportunities, and special event information. 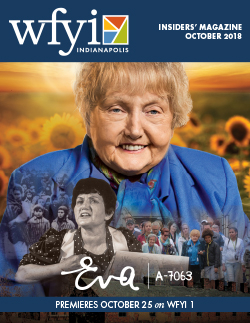 Get connected to your community and WFYI with the WFYI Insiders’ Magazine. To subscribe to the digital version of the magazine, which helps our environmental efforts and reduces printing costs, please sign up here or click the button below. You will receive an email when each new issue is available. Thank you! 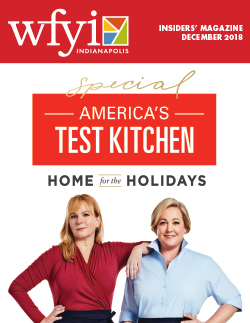 Holiday Specials and TV Drive Programming! "We'll Meet Again" returns for Season 2! 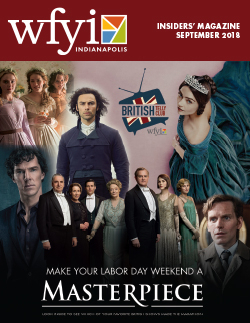 Make Your Labor Day Weekend A Masterpiece!